Learn how to build a strong and well-rounded team to do risk-based work. Building a strong team for risk-based work has special aspects that need to be present. This webinar helps you identify weaknesses and how to address gaps. 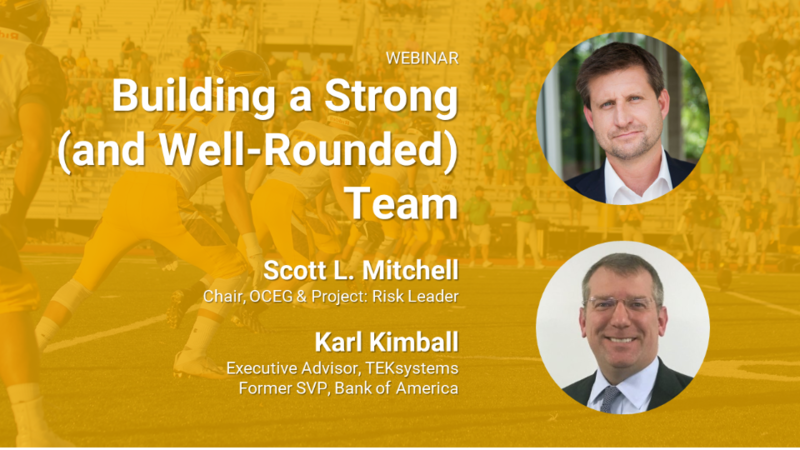 Join Scott Mitchell, chairman of OCEG and the Project: Risk Leader Advisory Board; and Karl Kimball, former SVP at Bank of America and current Executive Advisor at TEKsystems as they walk through step-by-step model to identify gaps in your team structure and how to address them.